Let me tell you about an experience at a well-established Calgary Italian restaurant that had changed hands a few months ago. The previous owners were an Italian couple that used old family recipes and terrific fresh ingredients to make their pasta and sauces from scratch. They enjoyed superior reviews for decades. The new owners were taking a different approach. The cooks followed the same recipes, but were required to use bagged salads, canned sauces and vegetables, frozen meat, and boxed pasta. Needless to say, there was a night and day difference between the before and after dining experience – and their online reviews reflected the decline. Same chefs, same recipes, same Calgary location. Poor ingredients. Now, you can imagine how vital high quality replacement parts are for vehicle repairs. The parts needed to deliver the performance you expect right out of the box – and over the long haul. 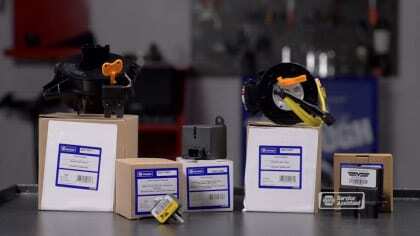 At Heritage Auto & Tire, we feature quality NAPA auto parts. They meet or exceed the original automobile manufacturer specifications so they fit and function as they should. It’s critical for a business to stand behind its work. At Heritage Auto & Tire in Calgary, we do everything we can to stand behind ours. We employ highly trained technicians and equip them with the diagnostic and repair tools they need to keep your vehicle in tip-top shape. NAPA Auto Parts helps us deliver on our promises to you with high quality replacement parts that help your vehicle run safely and efficiently. Skilled techs and quality replacement parts: that’s a recipe for Calgary motorists’ motoring satisfaction.